When Barbara Phillips arrives in Bluefield, Virginia, to begin her medical residency, she thinks she is headed for an uneventful few years filled with work in an obscure little town where no one knows herwhich is exactly what she wants. Everything changes when she enters Nickys diner and begins a journey that will last a lifetime as she falls in love against her better judgment and best-laid plans. The free-spirited Nicky later attends the 1963 March on Washington and impulsively and anonymously sleeps with a man in hopes of getting pregnant and starting a family with Barbara. When Nicky gives birth to Paul, her sister steps in to adopt Paul for his own protection. Nicky, Barbara, and Paul escape Bluefield and make a life in upstate New York, only returning to Bluefield years later upon hearing of the death of Nickys sister. 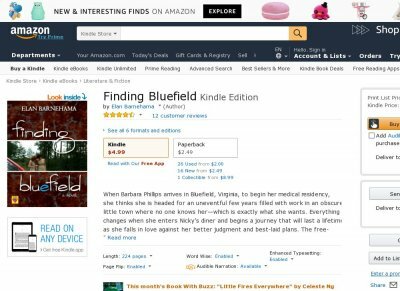 As their journey comes full circle, Barbara, Paul, and Nicky find their return to Bluefield is the catalyst for facing family secrets and forging family ties. 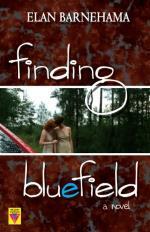 Finding Bluefield is the story of two women finding love and building a family.